Kennesaw Glass & Mirror has been providing custom glass services to Atlanta area homeowners and businesses since 1987. Whether you’re looking for elegant new frameless shower doors for your master bathroom in Smyrna, replacement storefront glass for a business in Buckhead, stylish cabinet inserts for a kitchen in Vinings, or other glass material, we sell a wide range of high-quality products at competitive prices. We are also staffed by knowledgeable professionals who can perform glass replacement, glass and window repair, custom glass installation, and many other services. Our technicians have an average of 20 years of experience, so no Atlanta glass job is too large or too complicated for us. All of our services offer outstanding value because of our extensive experience. We have the expertise and resources necessary to replace broken or fogged insulated glass and we also specialize in beautifying residential bathrooms by installing new customized shower enclosure products. 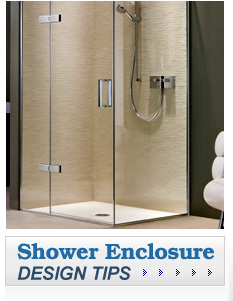 For more information about our products and services, please call or e-mail Kennesaw Glass & Mirror today. We are an Atlanta glass company this is locally-owned and operated, and we take pride in providing our services to customers in Atlanta, Acworth, Woodstock, Cartersville, and surrounding communities.